I'm really happy that this time I'm reviewing one of my HG and most used products for almost over 4 years. And it's such a shame that it's not particularly popular among other micellar lotions, like Bioderma's for example. But I'm here to make it a little more popular! The packaging I have is the 400 ml bottle that comes with a pump, but the 200 ml bottle comes with a plain cap. I love the fact that they put a pump for the big bottle because it's very practical. The older bottles used to be transparent, the newer ones are semitransparent but you can still see how much of the product is left in the bottle. So this is a cleansing water, lightly scented with a mild rose scent. If you haven't used a micellar lotion before to remove your make up it's really easy to use, propably the easiest product to use for make up removal, you just put a few squirts of the lotion onto a cotton pad and you start to remove the make up of your face. I don't use it to remove my eye make up just because micellar lotions make my eye area super dry so I only use it to remove my face make up, such as foundation, powder and blush. It takes 2 damp large cotton pads to remove all of my foundation, even the long lasting ones, and it leaves my skin 100% clean, with no traces of foundation, it really does an excellent job. After that, I always use my cleansing gel, Avene's Cleanance Cleansing Gel, as my final cleansing step. I've always used 2 seperate cleansers to remove my face make up, whether I was using make up wipes, cleansing milks, cleansing oils or micellar lotions. You can still only use this and be done with the whole make up removal process, but it leaves my skin a little sticky and since I am oily, I like my skin to be 100% clean before I go to sleep. It's suitable for every skintype, whether you have dry, normal or oily skin, I have oily skin and it works amazingly good. It's really good for sensitive skintypes also, except if you believe that the light rose scent it has may cause you problem, but I've tried other micellar lotions that are specifically for sensitive skintypes and had a bad reaction, one of them was Bioderma's Sensibio Micellar Lotion. I know it's very popular and everybody loves it, I personally used to love it but after 3 months of use my skin started to react really badly, every time I was using it my skin was feeling very itchy, it had a burning sensation and it was flaky, I must be the minority because I never read rants about it. With Vichy's Micellar Lotion I never had this problem and I'm using it for many years. In Greece the 200 ml bottle costs 11 euros and the 400 ml bottle costs 16 euros, and you can find it at the all pharmacies and Hondos Center stores. 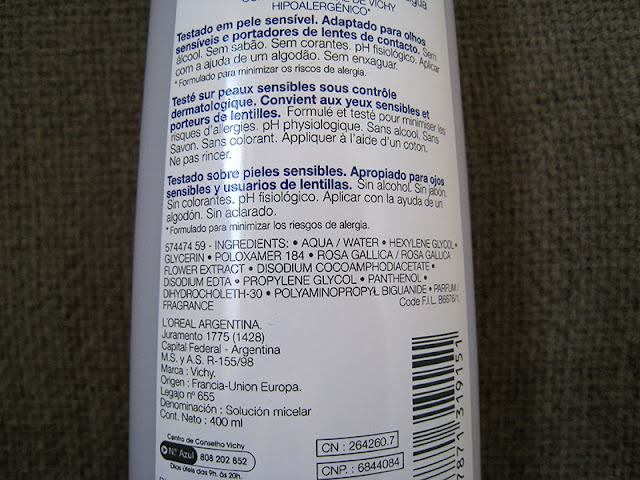 I know Vichy is a very popular brand in Europe so it's very easy to find it in pharmacies, and I'm pretty sure it's also available in Canada. - Perfect for all skintypes, even the most sensitive ones. - Removes all the make up easily, and if you have dry skin there's no need to use a second cleanser. - The price for the 400 ml bottle is pretty good comparable to other micellar lotions. - It comes with a pump, which makes it very easy to use. - It's slightly scented with a mild rose scent, I personally like it and it doesn't irritate my skin, but some people with very sensitive skin might react to it. - It doesn't remove mascara really well, and I cannot use it to remove my eye make up because it makes my eye area really dry,but this is a problem with all the micellar lotions I've tried so far. 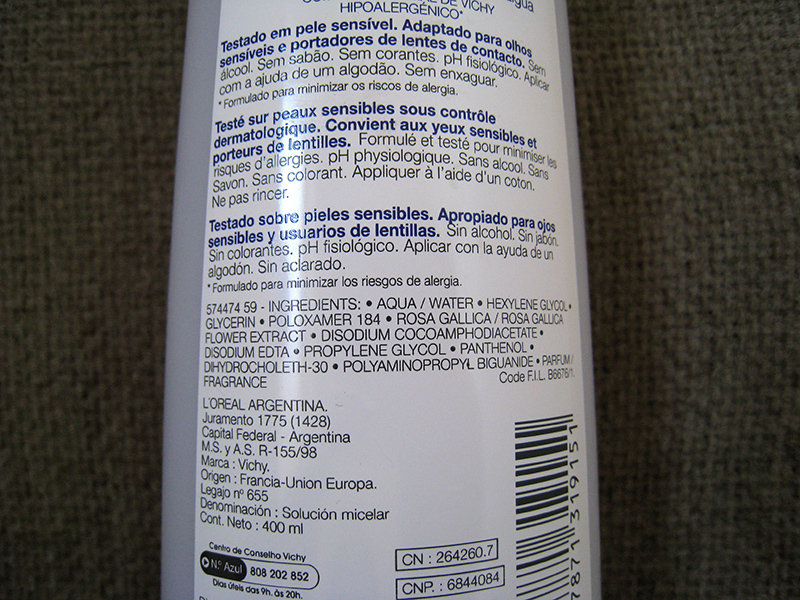 As you can see, I really love this micellar lotion, and I barely find any bad things to tell you about it. I know I'm sure I will repurchase it in the future as I've done so many times until now, even though I may try others too just out of curiosity, but this one will always be my safe choice. If you've tried it, let me know if you liked it or not. And if you haven't had the chance to try it so far, please do it because it's a great product! K mena einai to agapimeno mou katharistiko !!!!! Xairomai polu pou vlepw oti aresei se kapoia! 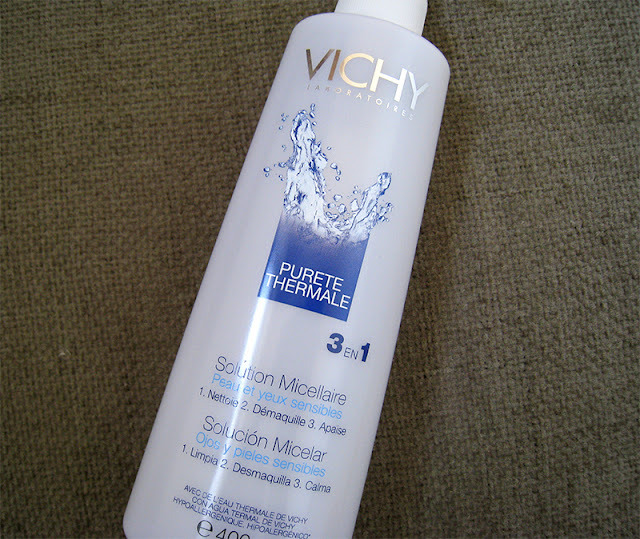 I didn't know that vichy also has a micellair lotion.I might give it a try until I find a good offer for bioderma! Ohh yes and it's in the market for many years now but not a lot of people know about it. You should try it, and let me know if you like it! Thanks hun!! You should try it, I love it so much! 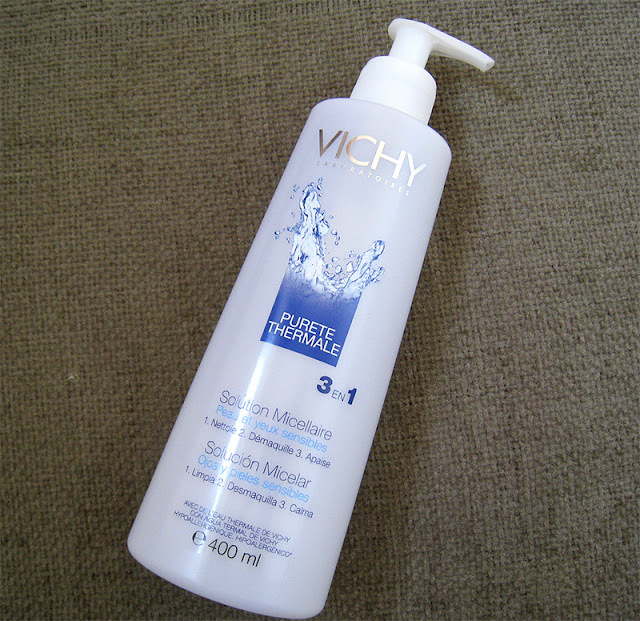 This sounds really lovely, I've loved all the Vichy products I've tried before! this does sound really lovely!